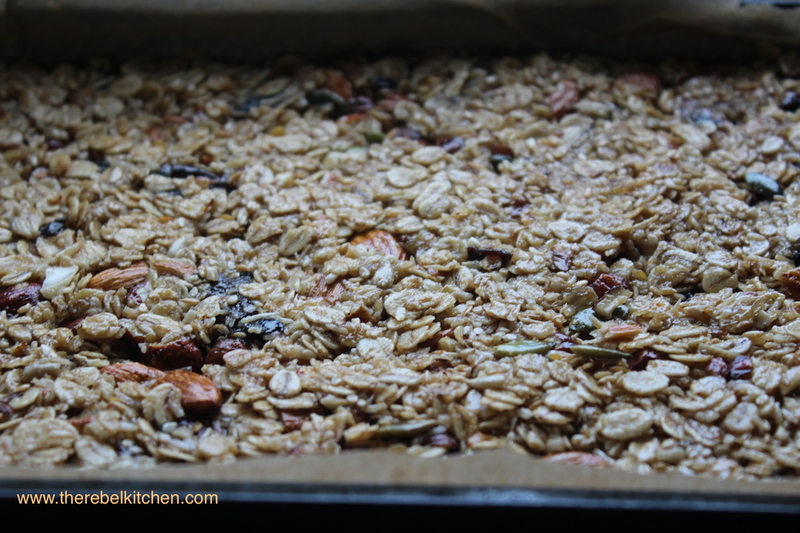 It’s probably apparent to anyone who has read this blog more than a few times, that I have a weakness for anything with oats or nuts in the ingredient list or any dish that can fall into the breakfast/ brunch spectrum- so making a tray of granola bars for this blog was an inevitability. These are ridiculously good. 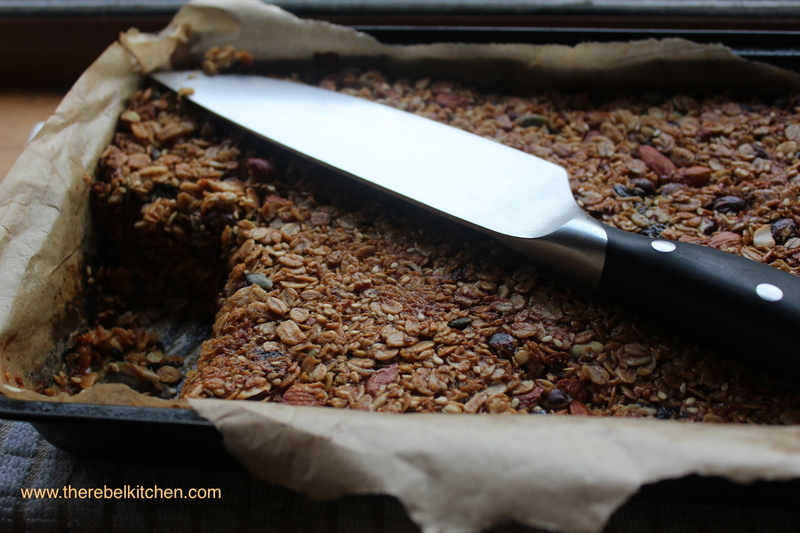 Now these are decadent granola bars… I don’t suggest eating them every morning for breakfast as they do contain butter, brown sugar and honey. However, the taste and texture is pretty unparalleled. 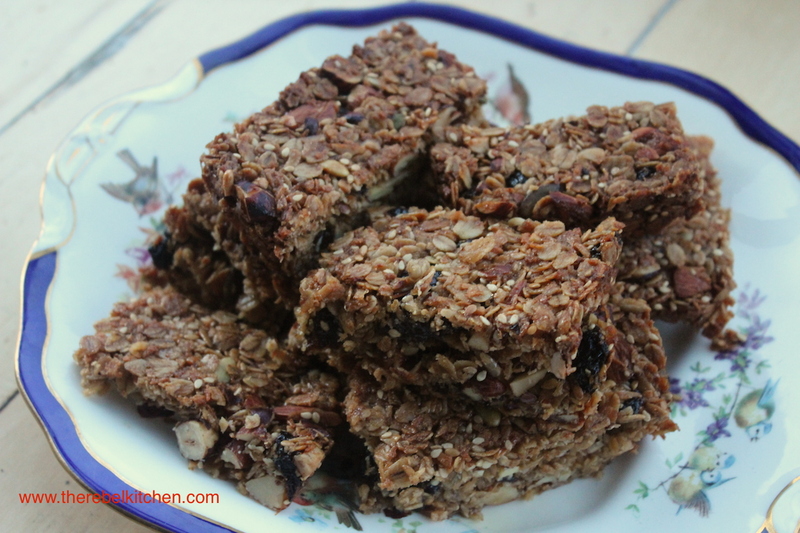 I think these would be brilliant to make some weekend for breakfast, or if calling to a friends for brunch, or even brining to work some morning if you are looking for brownie points. 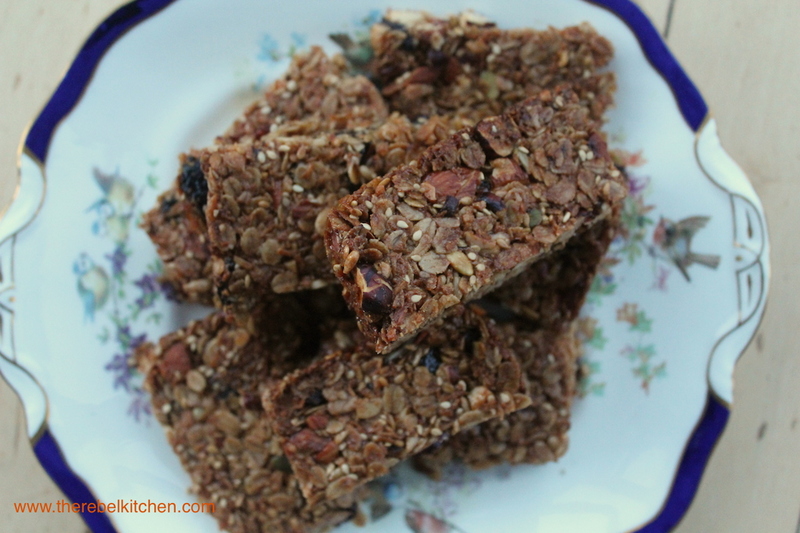 Or you can make a batch like me on a Sunday evening and eat three in quick succession. 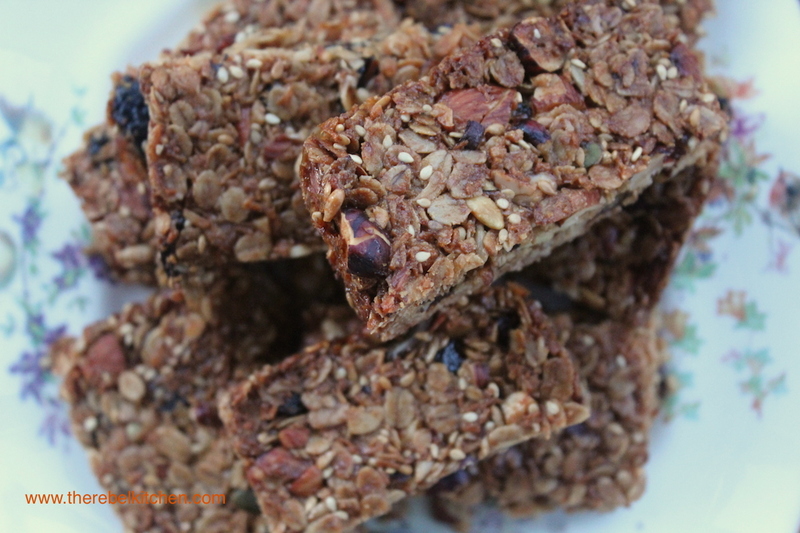 The choice is yours, however I do urge you to make these- they’re delicious. 1. Melt the honey, sugar and butter in a large heavy bottomed pot until it’s liquid. 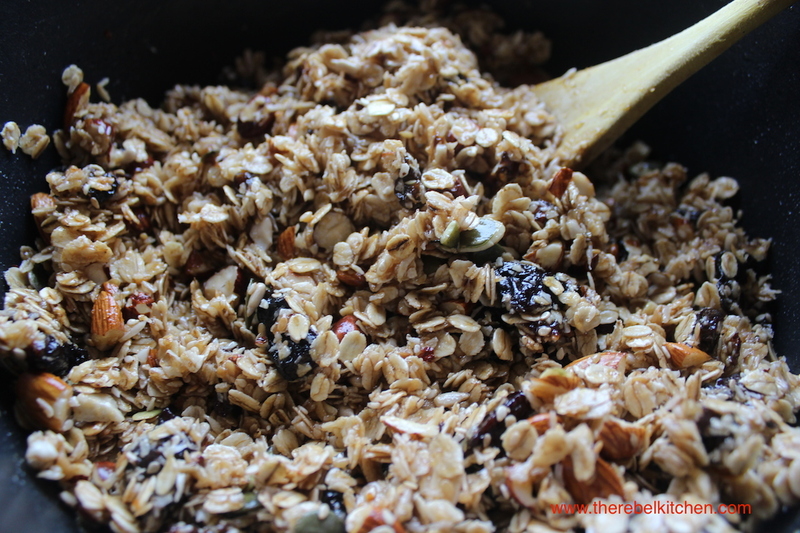 Then stir in all other ingredients until totally combined and all the dry ingredients are coated. 2. 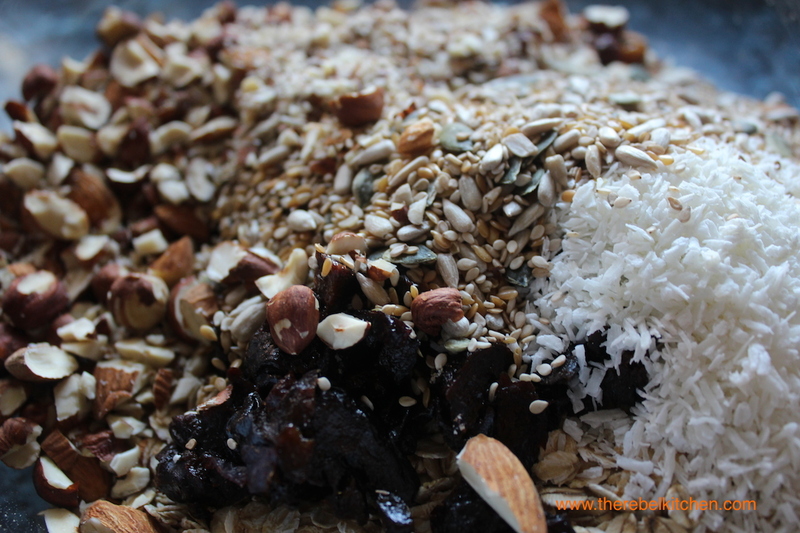 Pour the mixture into a greased and lined brownie tin. 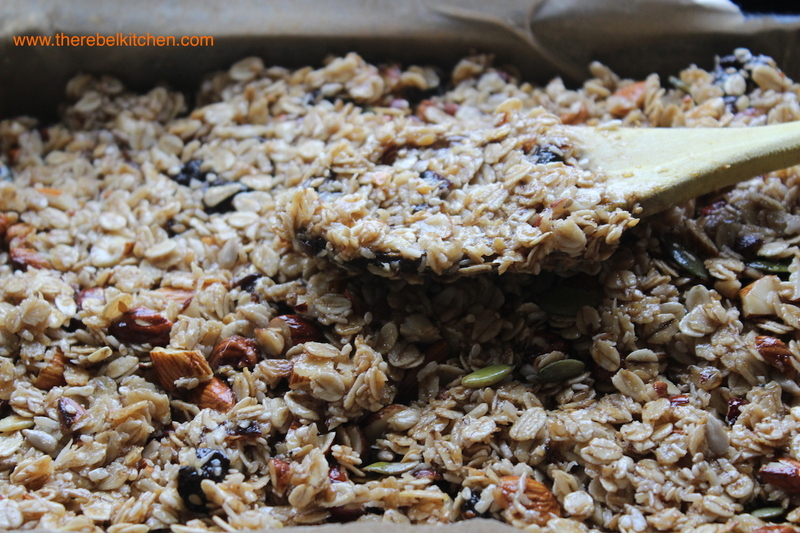 Pop into an oven preheated to 180C for 40 minutes or until golden. Keep an eye on them throughout cooking and increase/decrease the temperature if necessary. 3. 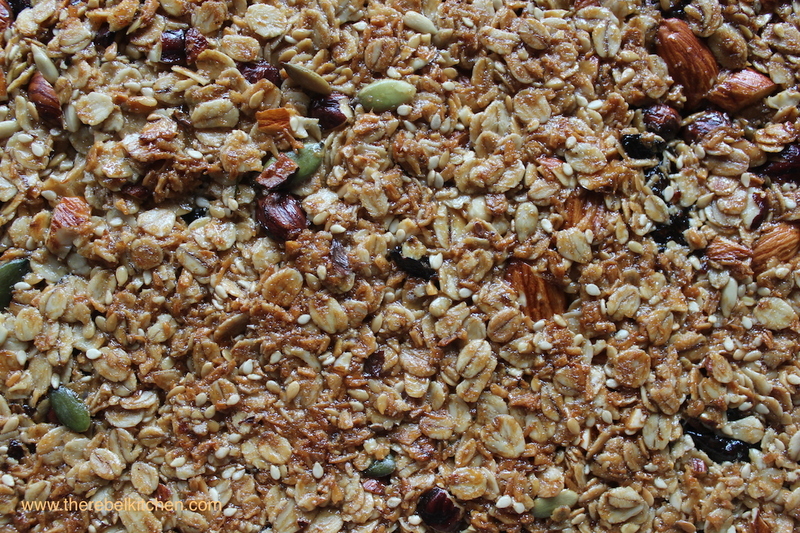 You must wait until totally cooled before slicing as otherwise the granola bars will crumble apart into crumbs. When cooled slice into rectangles and store in an airtight container for a few days.